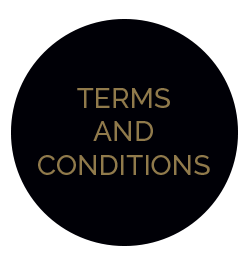 In these Terms and Conditions “we” and “us” means VIENNA WOODS PTY LTD, the Website Owner, and “you” means you the customer or site visitor. The following information is important for you to know if you use this web site and/or buy products from us. You should also know that some of the information may change from time to time and without notice. We’ve tried to make it easy to understand, if you are unsure or have any questions about our terms please contact us. Vienna Woods ships goods Australia-wide, however, at this time we do NOT accept international orders through our website. Please contact us on to enquire about a special order. Delivery times provided on this web site are estimates, we won’t be held responsible for late deliveries or loss or damage relating to late deliveries. Please make sure to provide the correct delivery address. Vienna Woods can’t be held responsible for incorrect delivery addresses. You are responsible for checking your purchase when you receive it and notifying us to request a replacement product or refund if it is damaged or faulty. Our prices are listed in Australian dollars. GST is included in the price but shipping costs are not and will be added during the checkout process. From time-to-time our prices may change. If you would like to return or exchange your product purchase due to a manufacturing fault, contact us within 60 days and we will send you a replacement product or credit you with a refund. If we can’t replace or exchange a returned product we will reimburse you for both the price of the purchase and all shipping charges. We accept order cancellations as long as we receive them prior to shipping. If the order has been shipped we may refuse to accept the cancellation. We reserve the right to refuse or cancel any order without giving a reason. If we do cancel your order we will make all reasonable attempts to contact you using the details provided. If we do cancel your order we will contact you and immediately refund your payment method for the total amount charged. Our prices are subject to change at Vienna Woods discretion with no need to notify customers. Vienna Woods reserves the right to cancel an order should they be purchased at an incorrect rate, for example product is listed at $0 and is not a promotional item. When purchasing from www.viennawoods.com.au card details are transmitted through a secure server using (SSL Certificate). Card data is not hosted by Vienna Woods after processing. As far as allowed by law we are not liable for any personal injury, incidental damages, consequential loss or like claims arising from the incorrect use of our product/s. Vienna Woods is not liable for any losses or damages caused by this web site or any website linked to or from this web site. Vienna Woods aims to provide exceptional customer service to all its customers. We are determined to ensure you are very satisfied with your order. If you have any concerns or questions regarding your order please email salessupport@viennawoods.com.au and we will endeavour to rectify the situation for you as soon as possible. All prices shown on www.viennawoods.com.au are inclusive of GST and a breakdown is provided within the checkout. All content and trade marks used on this web site are either owned by Vienna Woods or we have a license to use them. Access to our web site does not give you license to use the content or Trademarks in any commercial way without our permission first, except as permitted under the Copyright Act 1968 (Cth). If you provide comments or feedback to us on the web site we might use them to promote Vienna Woods and our products. If we do use them we don’t need to advise you or pay you or others for their use. In making the comments you also acknowledge that their content is your responsibility.